Outgoing postcard US-3208614 to Slovenia shows Salinas, the county seat of Monterey County, California. Located at the mouth of the Salinas Valley, the city is about 8 miles or 13 kilometers from the Pacific Ocean with a population of 155,662 as of 2013. It serves as the main business, governmental and industrial center of the region, known as the nation's salad bowl for being the principal center of the lettuce industry - the "green gold." 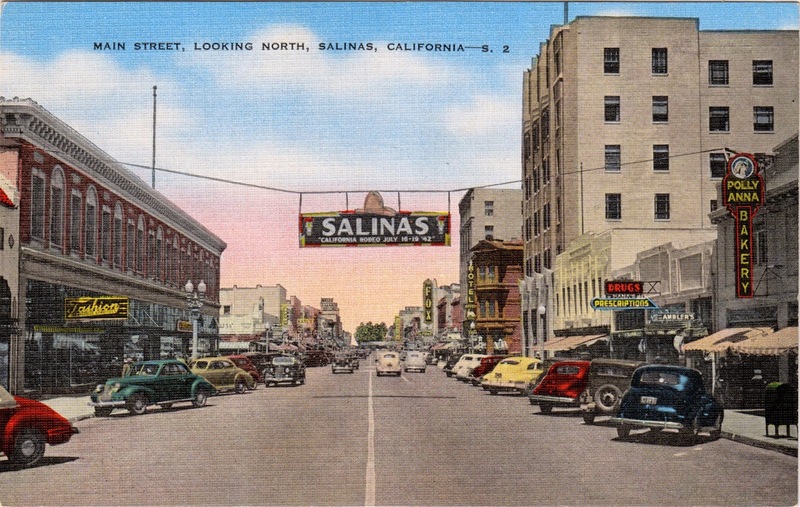 Shown on the card is the view of the city's Main Street, looking north.